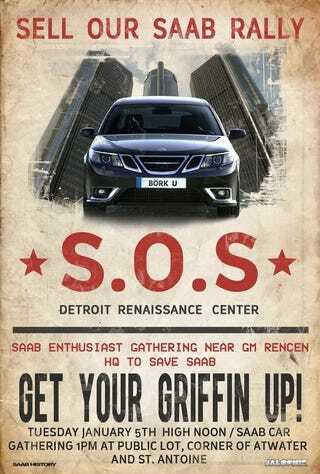 We've put together this very unofficial poster for today's SaabHistory S.O.S. (Sell Our Saab) rally in downtown Detroit. Let us know in the comments below if you're coming. Don't have a commenter account? Now's a good day to sign up.